So far we’ve discussed advantages of cost, space, freedom to change direction, and accessibility. Today let’s look at the final two: reusability and security. Sometimes you can have the child write their answers on a separate piece of paper, but that’s not always practical. One example of this is my series of history-themed coloring books with copywork. If you were to purchase these books as physical products, there would be no way more than one child could use them. But when you buy them as e-books, you are purchasing a book that can be printed and used by all the children in your family. No matter how much we try to do what’s necessary to keep our homes safe, accidents and disasters can happen. A leaky pipe can damage an entire bookshelf’s worth of curriculum. A natural disaster or a house fire can destroy all of the curriculum you own. Depending on the situation and your insurance, you may be able to replace those items, but it will take time and work. E-products can be routinely backed up to a thumb drive and kept in a safety deposit box or another secure place away from your home. An online backup service such as Carbonite can routinely backup all your digital materials (which I strongly recommend regardless, as I have faced more than one computer failure over the years). 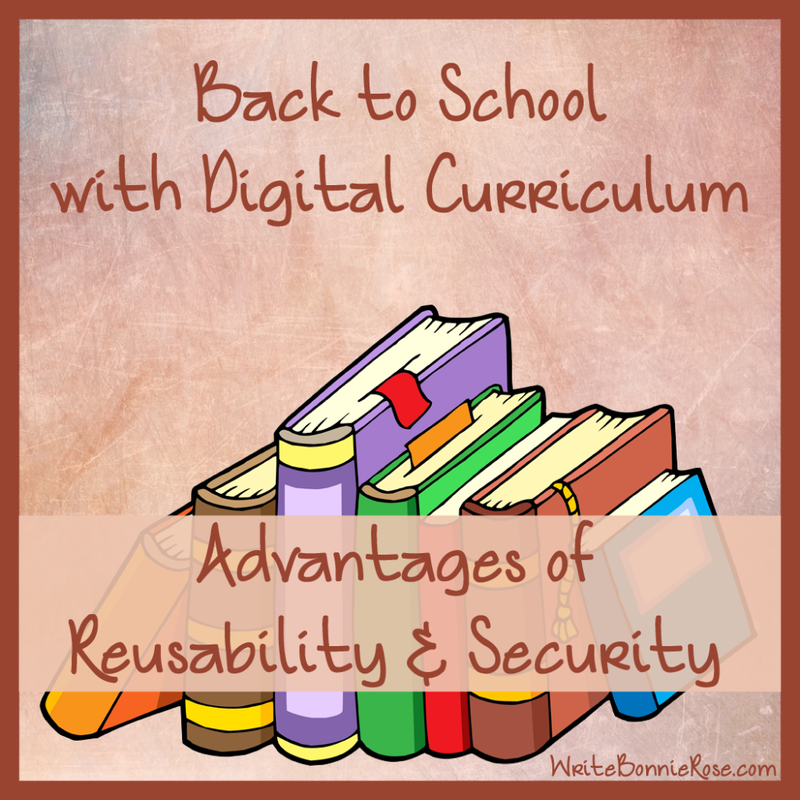 What are your thoughts on the advantages of the reusability and security digital resources provide? What are other advantages or disadvantages to digital curriculum? Share below! I’m joining 56 lovely ladies in blogging about about back to school tips and ideas. 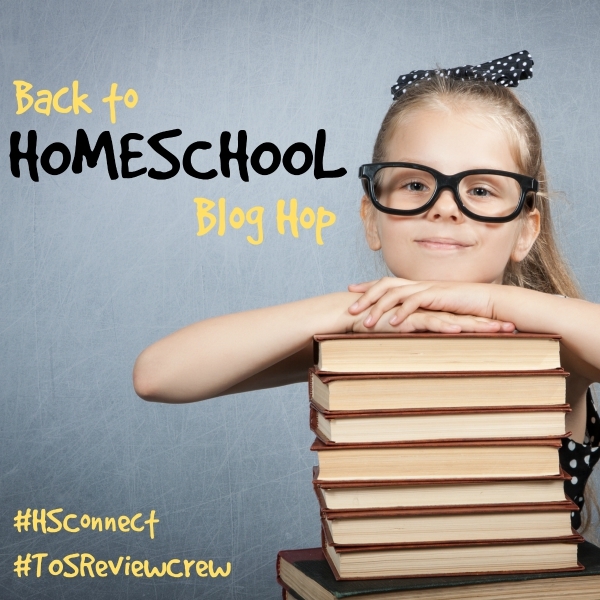 Come join us at the Back to Homeschool Blog Hop! And don’t forget to enter to win a beautiful microscope and digital camera. I love that usually with digital curriculum I can print what I need for the whole family! That is a huge benefit, Leah! Thank you for sharing. I’m indecisive on a love for digital curriculum. I think once I get some better organization (digital storage space!) and a fabulous printer my opinion would change! MJ, I’m happy with my printer, but my organizational skills could use some help!